Natalie and I discuss her journey to success. It all began at Newtonbrook Secondary School in Toronto. After the drama teacher pointed out Natalie’s natural talent, Natalie enrolled at Sheridan college. Prior to attending Sheridan, Natalie had no formal dance training. She gives a shout out to the dance instructor at Sheridan, who gave her the confidence to excel in dance class. Thanks to the folks below who submitted questions on Twitter. Natalie was grateful for the questions and took the time to respond to them all on the podcast. My thanks to The Stratford Festival and Revel Cafe for their help with this interview. 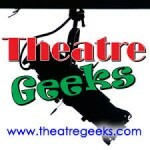 In this episode I give a shout to to the Theatre Geeks Podcast, who kindly me invited me to appear on their podcast last week. Broadway World called “Theatre Geeks” one of the top theatre podcasts, so give it a listen. Check out episodes that also mention Broadway, Crazy for You, Musical Theatre, New York, sheridan, Stratford.